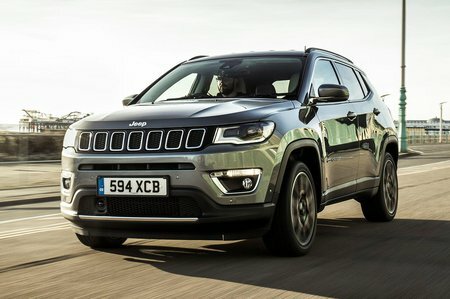 Jeep Compass Performance, Engine, Ride, Handling | What Car? 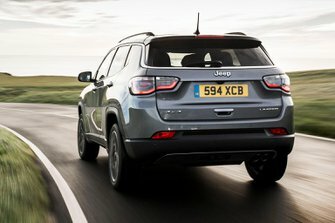 While the four-wheel-drive Compass is impressively capable off road, its on-road manners are far less inspiring. It's smoother-riding than the previous model, but it is still easily unsettled by slight road imperfections and doesn’t offer the compliant, comfortable ride you get from rivals such as the Nissan Qashqai and Peugeot 3008. The Compass's steering is especially poor, feeling too light and disconcertingly vague. This isn’t such a problem for town driving, but at higher speeds it robs you of confidence, as does the fact that there's a fair bit of body roll through corners. The 138bhp 2.0-litre diesel engine never makes the car feel quick, but its strong pull at low revs suits urban driving well, even if the auto gearbox can be quite slow to swap gears, leaving a noticeable gap between shifts. The six-speed manual ’box (available with the 1.6 and lower-powered 2.0 diesel engines, as well as the 1.4 petrols) is a good alternative, providing a slick and precise shift. The biggest drawback of the diesel engines is the poor refinement: they sound extremely coarse when accelerating, even if they do settle down at a cruise. This is especially a problem in the 138bhp engine (and less so in the 168bhp variant) because it needs to be worked quite hard. You can also feel vibration through the steering wheel and pedals – something that the Renegade suffers from, too. We have yet to sample the petrol units.